Shelby Nichols is an average woman who is married to the only guy she ever fell for. Her life is organized and predictable, revolving around her husband and two children. All that changes the day she stops at the grocery store for some carrots. As the cashier rings up her purchases, a gunman is busy robbing the bank inside the store. When a customer grabs the robber's mask, he is shot and everyone runs for cover. Everyone except Shelby, who finds herself face to face with the killer. Fantastic story and flawless audio! Get it! Trouble always comes to those who court it. Rose Gardner's ability to see glimpses of the future has gotten her into hot water time and again, but so have her curiosity and her sense of daring. Those very qualities helped her defeat the most powerful man in Arkansas - a man so adept at hiding his crimes there was no way to defeat him inside of the law - but her success came at a steep personal price. Now she's throwing herself into her landscaping business, trying to live a life that's as orderly as one of her gardens. Me and the legendary Zimmerman twins - it's a friendship made in geek heaven. And it all started back when I worked for the NSA... My best friend Basia dragged me to the beach for her idea of a vacation. All those annoying people, sand in embarrassing places - not exactly R & R for a girl who doesn't like the sun, the ocean, or bathing suits. I couldn't wait to get back to work. But things started looking up when I ran into Elvis and Xavier Zimmerman. We discovered we had a lot in common: gaming, anchovies, hacking. Neely Kate’s life is finally coming together. She’s living and working with her best friend, Rose. Her newly discovered brother, Joe, has decided he’s done hiding that she’s his sister, and her new boyfriend, Jed, is everything she could have dreamed of and more. Only things aren’t going as well as she’d hoped. Neely Kate is still keeping secrets from Rose. He schedules everything. And I mean everything. I had no idea what I was getting myself into when I took this job. I thought it would be simple - pretend to be Mr. Dane Clark's personal assistant, find the missing blueprints, and get out of the Clark Castle for good. But, somehow this socially awkward, tech-genius billionaire has wormed his way into my heart. And even if we survive this mess, I'm not sure I want to leave. When a young woman plunges from a Las Vegas tour helicopter, landing in the Pirate’s lagoon in front of the Treasure Island Hotel in the middle the 8:30 Pirate Show, almost everyone wrote her off as another Vegas victim. But Lucky O’Toole, the wise-cracking Head of Customer Relations at the Babylon, the newest, most over-the-top mega-resort on the Strip, smelled a rat. Island Chaptal - nerdy IT engineer by day, romance novel junkie by night - just walked into her messy New York apartment to find Mr. Right waiting for her. No, wait...Mr. Clean. A gentleman professional killer with a bad case of OCD and zero tolerance for unsorted laundry, March isn't there to kill her...yet. 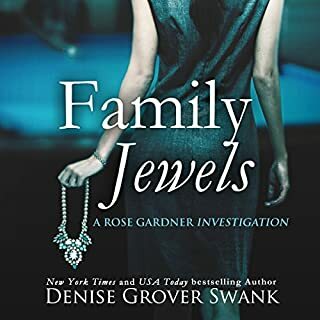 He wants the diamond her late mother stole for a sinister criminal organization. Island agrees to help him find it, facing the kind of adversaries who dismember first and ask questions later. Good thing she's got March to show her the ropes. And the guns. And the knives. Little girls are vanishing from Deadwood, South Dakota. Fearing her daughter might be next, single mom Violet Parker is desperate to find the monster behind the abductions. With her savings dwindling and just three weeks left to sell her first house or lose her realtor job, Violet is ecstatic when a handsome jeweler hires her to sell his century-old Victorian masterpiece - until she sees the dilapidated dwelling. Now if she could just convince her only buyer to stop rejecting vintage homes as if they're haunted. How many times can a person escape death? Shelby Nichols may be one lucky gal, but this time, her luck is about to run out. 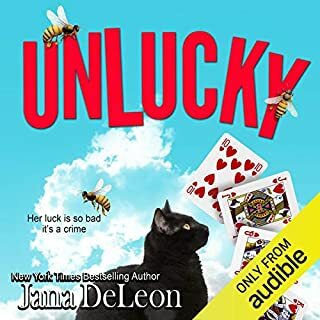 Working for a mob-boss has danger written all over it, but when an escaped convict with a lust for revenge goes after him, it’s up to Shelby and her mind-reading skills to keep Uncle Joey alive. Not only that, a federal agent from her past has an agenda with her name on it, and he won’t take no for an answer. What’s a mind-reading soccer mom to do? If you’re Shelby Nichols, you jump in with your mind wide open and hope for the best. Another adventure of the mind reading soccer mom! 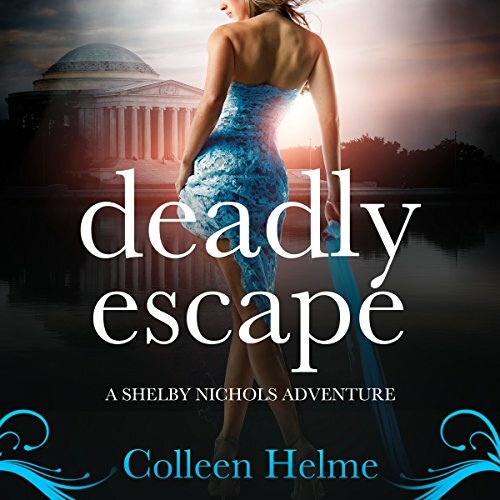 DEADLY ESCAPE is Book 11 in the Shelby Nichols Adventures series of light and fun suspense thrillers by author Colleen Helme. Actually this novel is heavier/more suspenseful than any other novels in the series. I've reviewed the first 10 books in the series and rated each of them 5 stars. DEADLY ESCAPE may be the best yet. For the most part the author tells her stories in the first person of protagonist Shelby Nichols; narrator Wendy Tremont King is Shelby's voice and she is wonderful. Colleen Helme deserves a lot more attention as a very talented author. 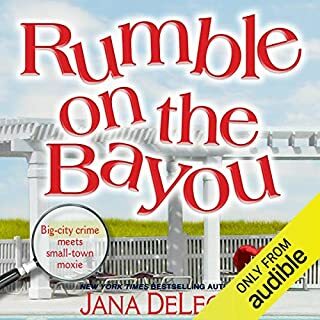 This series reminds me of the Miss Fortune Mysteries series by Jana DeLeon. I RECOMMEND the Shelby Nichols Adventures series without reservation. This particular series has captivated my coworker & sister as well as myself. This one was a twofer in a way & leaves us in anticipation w/o being a cliffhanger for the next book. Love Colleen Helme’s way of doing her stories & the narrator is spot on ! Thank you lady, good as gold, please keep writing ! I can't wait for the next book. I just loved this series. I can't wait to here about Ramos and him brother. I hope they find the leak in the CIA. 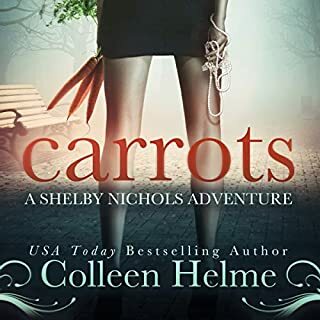 one of Colleen Helme's best Shelby Nichols book. the suspense was heightening. please read it. As always, Shelby's adventures capture my whole attention. I loved this book and the great performance of Wendy Tremont King. I have to say that Colleen Helme and Wendy make the perfect combination. Thank you for another fantastic ride. Looking forward to the next one! This series always delivers a fantastic read. Contains all my favorite things: suspense, adventure, wonderful ongoing characters and of course a touch of romantic angst. Can’t wait for the next one! Once again we see Shelby saving the world and uncle Joey with yummy Ramos by her side. I love these books they keep getting better and better! High Octane adventure with Shelby Nichols-Awesome! 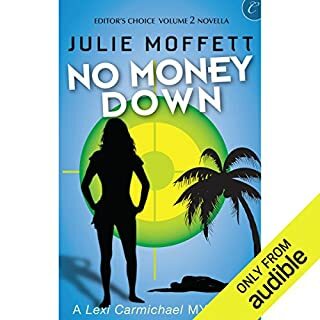 The audible version of Deadly Escape, the 11th volume of the Shelby Nichols adventures was without doubt the best one to date. As I have mentioned previously, the narration by Wendy Tremont King has literally embodied Shelby and cohorts, and to me Wendy IS Shelby Nichols. Wendy has continuously improved over the volumes that she has narrated. 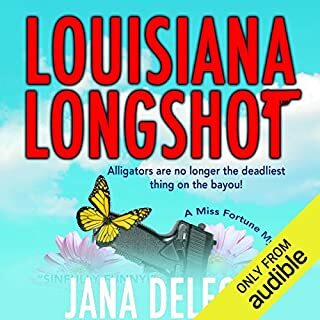 There were many subtle nuances in and variations in the voicing of various characters and their roles in this book, and it really came to the fore in Deadly Escape and made listening to the story all the more realistic. An example of this is Josh, Shelby’s son, sounding like Chris, but younger, and more boyish. There were real differences that you could hear between Uncle Joey and Ramos, Jackie and Shelby, and other male and female characters. That’s hard to pull off, so kudos to Wendy for making the story all that more absorbing and realistic and enjoyable! Shelby’s in a lot of trouble in this book. Uncle Joey has personality disputes and fighting over a girl to contend with in his organization. But overshadowing all is the threat of him being killed by an old associate who has escaped out of jail and has a vendetta against Manetto, and wants him dead! At any cost! Is his innocent-seeming daughter involved too? You’ll have to listen to find out! Literary artist Colleen Helme is not content with just one plot, subplot, or many twists, bringing characters we have known and met before into the story, including characters from Paris, a terrorist, an old love interest of Ramos and the head of the FBI. Can Shelby handle it all? Can she stay in one piece? Things get really complicated when even her kids are involved, husband Chris is attacked, and may not survive, and Shelby is closer to death – over and over - than she has ever been before. It’s a race against the clock, a standoff with Federal Marshalls, rivalry with the Police, and Uncle Joey in the cross-hairs. There is more threatening Shelby in this one book than I think we have ever seen before in a single Shelby Nichols adventure. From the queen of close calls, we get within seconds of death, over and over again in this incredibly high octane adventure from bestselling author Colleen Helme. Shelby gets more mature in every volume. She is more accepting of her talents, though as she adjusts to them she seems to make more slips by answering people’s thoughts, not what they’ve said in this book. More by far than any previous volume. But she is turning her powers to her advantage and purposely using them to help more people in more ways. She is rapidly coming to accept where life has delivered her as a soccer-mom turned investigative consultant who works for both the Police AND a Mob Boss. There’s one thing I can say with a certainty about this book: You’ll love it! I highly recommend Deadly Escape without reservation. It works as a standalone novel, but you should definitely go ahead and treat yourself to the whole series. You’ll get to know and love (and hate) the characters and being part of Shelby’s evolution as a person in a very unique situation is worth every penny of the cost of these books. They are gripping, exciting, page-turning fun reads! This is my favorite series to listen to! Shelby’s adventures are comical and thrilling! I also admire her restraint and morals when it comes to resisting Ramos! The only bad thing about finish a book is the wait for the next one. I have loved every book in this series. Can't wait for the next. I use audible to listen while I work. Wendy Tremont King brings the characters to life in this exciting episode of The Shelby Nichols Adventure series. I highly recommend it! 5* narration 4 1/2* story. Psychic, investigative, humour, probably most enjoyable for a female audience. This escapist fun continues to be the type of great entertainment that's guaranteed to get me out of any book slump. Griping action one minute and gentle humour the next with the narrator playing it for all it's worth and making a difficult job look easy. The story is brilliant either way but you are missing out if you don't get the audio on this one. I absolutely love this series. This book is fun adventurous and funny. I love seeing Shelby get into dangerous situations and see Ramos pull her arse out of the fire. But Shelby is not a damsel in distress either, she is also more than capable of looking out for herself and those around her. I have loved seeing her, Uncle Joey and Ramos grow and their close relationship develop over these past 11 books. This book is full of tense moments, danger and laughter. As some series go on I have gotten bored and stoped reading, usually around book 7 or 8. This series has kept my interest and excitement over 11 books, that is the mark of a talented Author. I love this series and this book and I can’t wait for the next one.